At the present time, there is no possibility to buy fuel at Kikity. 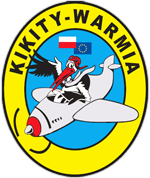 You can refuel at Ketrzyn (EPKE) or Gryzliny (EPGR). (prices are given in PLN, the highest table is the most current).